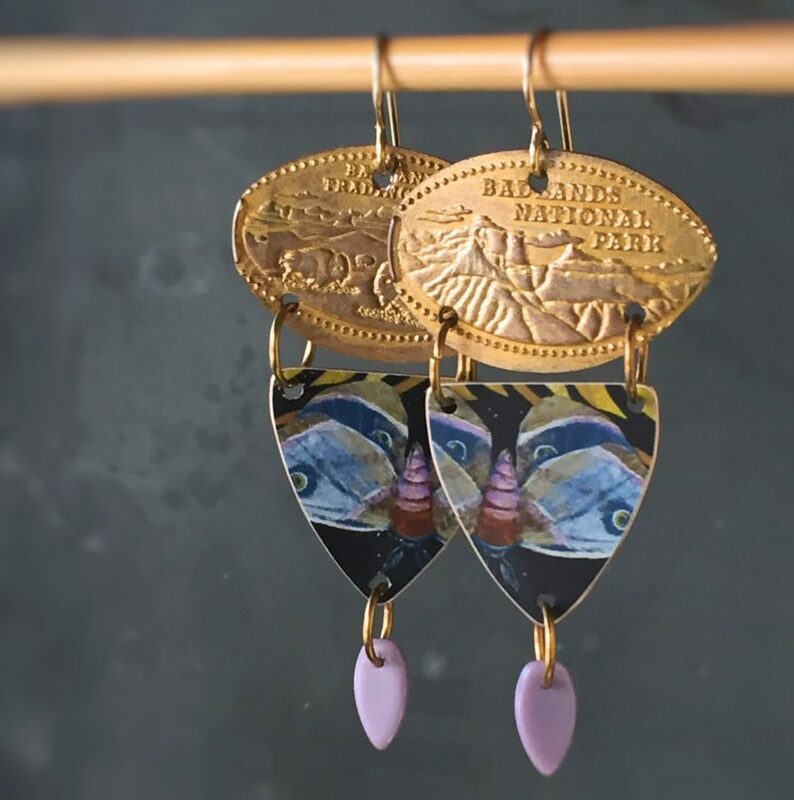 I’m totally crushing on the darkly romantic palette of the Purple Moth Earring Charms by Heather Powers. 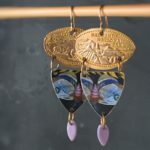 To assemble these earrings I actually turned these charms upside down to get the silhouette I was after: a top-heavy, tapered shape that I’m liking these days. (I think moths can fly upside down ... ?). I hole-punched smashed penny souvenirs from a family trip to the Badlands to turn them into links. I also painted them both with Antique Gold patina by Vintaj to mask some goofy penny patina and make them match.